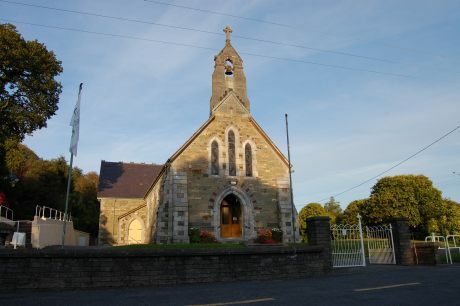 The Sacred Heart Church, Glengarriff, is the local Roman Catholic church and is located on the Kenmare side of the village. It was erected in 1902. It replaced the “Old Chapel” in the burial grounds at Cappyaughna which had been built in 1829. The “Old Chapel” at Cappyaughna is still standing, having been renovated and converted into a Parochial Hall.